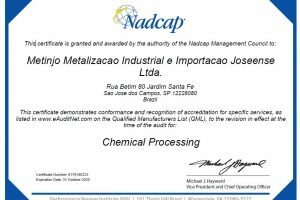 Last reaccreditation of Metinjo by Nadcap (non destructive testing) on April 2018. 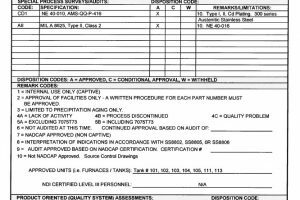 Metinjo was recertified by Sikorsky on July 2017. 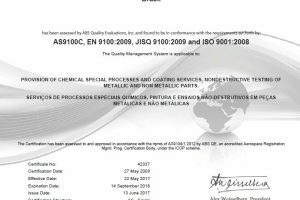 Metinjo was recertified by ABS on ABS AS9100C, EN 9100:2009, JISQ 9100:2009 and ISO 9001:2008 on June 2017. 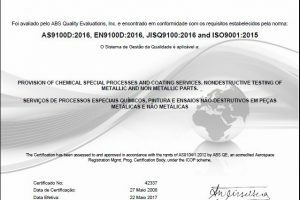 PROVISION OF CHEMICAL SPECIAL PROCESSES AND COATING SERVICES. 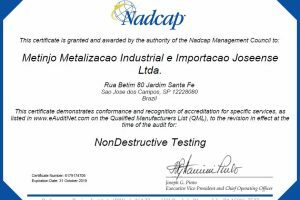 NONDESTRUCTIVE TESTING OF METALLIC AND NON METALLIC PARTS. 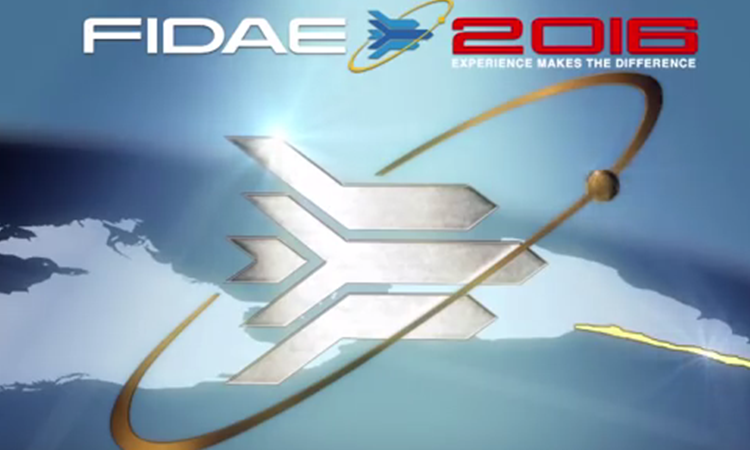 Metinjo participated on International Fair FIDAE in Chile from 29/Mar/2016 to 03/Apr/2016. 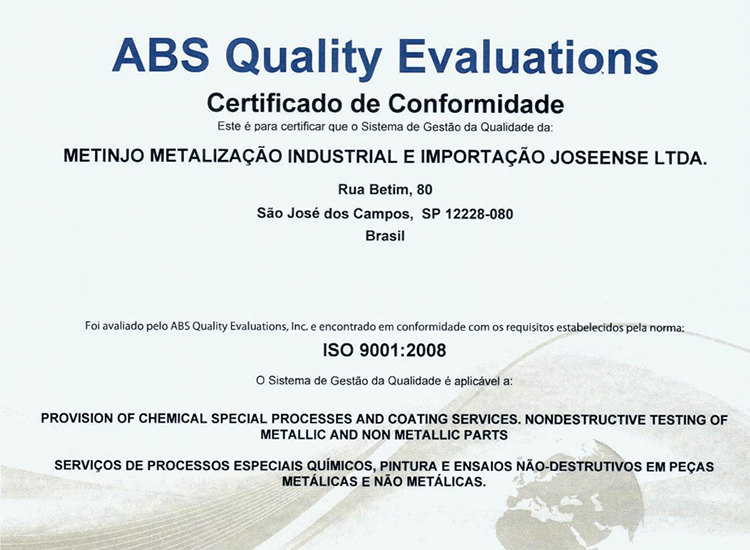 Metinjo was recertified by ABS on ISO 9001 and NBR1500 on March 2016. 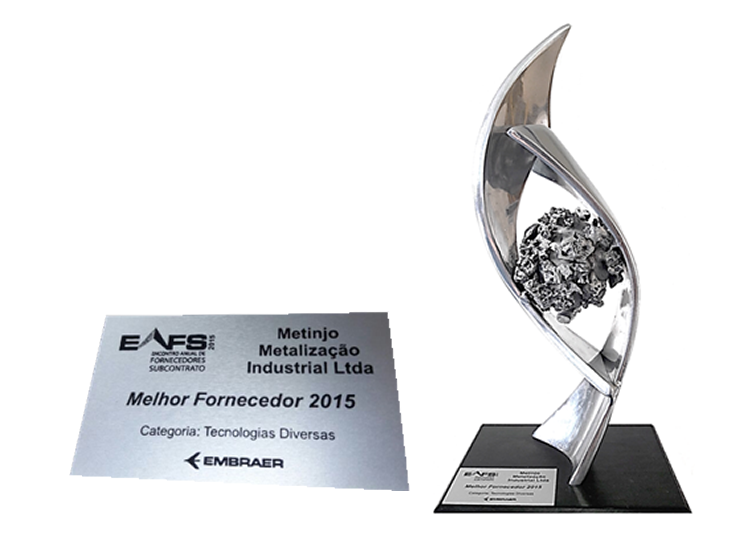 Award received from Embraer as Best Supplier of 2015, on category Several Technologies.